Create a cup, bowl, or spoon using classic silversmithing tools and techniques. 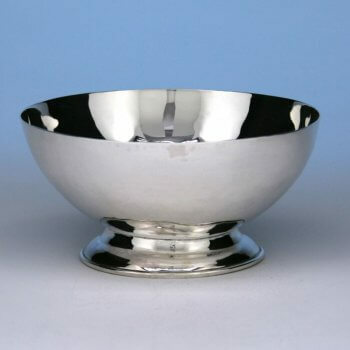 Working with historic tools and techniques, students will have the opportunity to create their own hand-hammered silver bowl in the style of 18th-century Nantucket silversmiths. This piece will be destined to become a family heirloom. This class is recommended for students with previous silversmithing experience, but beginner students are welcome.